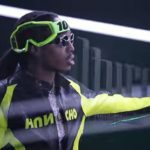 Video: Nicki Minaj “Barbie Dreams”. Taken off her fourth studio album “Queen” New York Trinidadian female artist Nicki Minaj decides to drop her official music video for “Barbie Dreams” . Nicki joins the scene with puppets and a colorful background, Nicki raps over the Notorious B.I.G. 1994 “Dreams” instrumental. How you want the p*ssy? 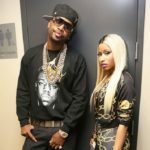 Nicki Minaj Goes In On Her Ex Safaree For Suing Her..
Yo Gotti -ft. Nicki Minaj “Rake It Up” (Official Video)..
Video: Nicki Minaj, Drake & Lil Wayne – “No Frauds”. 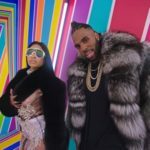 Jason Derulo Ft. Nicki Minaj & Ty Dolla $ign – Swalla (Video).